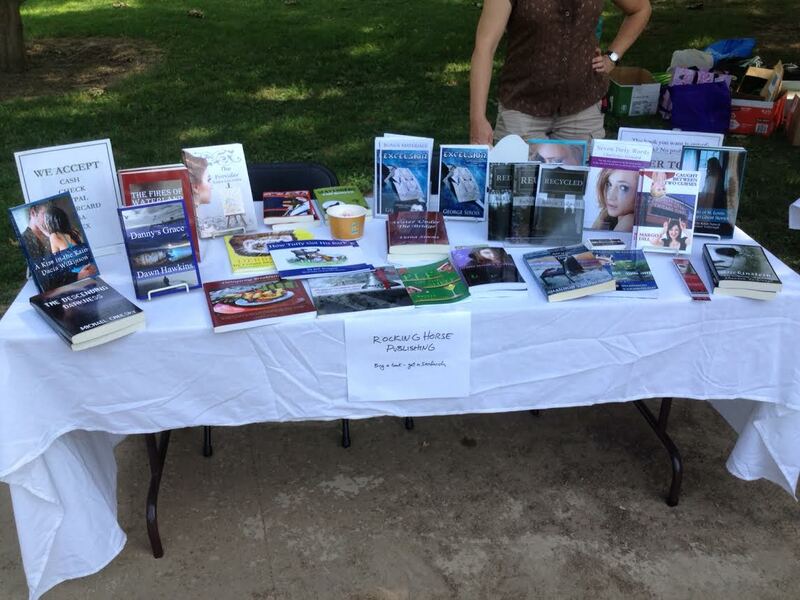 I spent Saturday in the Kirkwood Park at an event hosted by the St. Louis Writers Guild called Writers in the Park. There were speakers, workshops, and of course, books. Rocking Horse Publishing was well represented at our table with the founder Robin Tidwell, myself, and three other fellow authors. I even sold a book! The heat made it quite miserable, but it wasn’t a bad day overall. Met lots of fellow writers too.